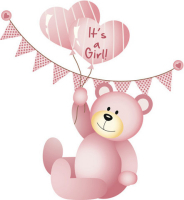 HOUSE (nee Lindsay) Congratulations Bernadette and Simon on the birth of your little girl, "Isabella Opal" born Friday 25th January 2019 weighing 8lb 1oz at 12:21pm. Hoping Happy Dreams and Magical Moments surround you both. All our love, Mum (Bronwyn), Stuart, Callum, Josie, Grant, Kryshelle and Erica.